If you live in Wisconsin and you’re trying to adopt a Bengal kitten or cat, your best choice is to go to a Bengal cat breeder. These are people who specialize in the breed and really understand their personality traits and how to care for them. Finding a Bengal cat breeder in Wisconsin can be difficult, but we’ve done all of the hard work for you. We’ve spent hours researching to find all of the different Bengal cat breeders in Wisconsin and you can find our full list below. How They Describe Themselves: ​We are so proud of our Bengal Cats and Kittens. Our kittens are purebred Glitter Point Bengals. Descended from the Asian Leopard. They all are FIV/FeLV Negative and are vet checked for health. "Glitter Point" is a genetic trait that makes the entire shaft of our cats hair shimmer like gold. It is quite rare and quite exotic. How They Describe Themselves: ​Our cats are lovingly raised in our house, exposed to a varied family life (dogs, tv shows, the kitchen, air conditioning, etc.) We feel this best prepares them for home life. The cattery (the room where the cats are fed and the kittens are born and raised) is within our house and offers the cats plenty of room to live and play, a great view of the outdoors and a place that they can call their own, yet they are also free to roam about the house and greatly enjoy a nap on the couch or sleeping on a bed with their favorite people. How They Describe Themselves: ​I am a small in-home breeder. My kitties are born and raised in my bedroom, until they have the run of my whole condo. I usually have one litter a year, sometimes two. Since I have only one litter at a time, with a small amount of kittens, each kitten gets lots of individual love and attention, which is important to develop an outgoing, confident, friendly purrsonality. I keep up-to-date, and test my breeding queen(s) for all known Bengal health issues. How They Describe Themselves: Cats/Kittens allowed free access to in-home cattery located in East Central WI. We want to Improve the Bengal breed in terms of temperament & type - rich tones, high contrast. Our kitties are well-socialized and healthy rosetted leopard kittens to approved buyers. All kittens come with health guarantee and age appropriate immunization shots and are cared for in loving home with daily "hands-on" attention and devotion. How They Describe Themselves: ​Painted Cats is a small Bengal cat cattery located in Milwaukee Wisconsin. Our goal is to deliver you the healthiest Bengal cat with the best structure and the most beautiful large outlined rosettes. Bengal Health is our number one concern and we stand behind every Bengal kitten we place. Painted Cats is a small Bengal cat cattery located in Milwaukee Wisconsin. Our goal is to deliver you the healthiest Bengal cat with the best structure and the most beautiful large outlined rosettes. Bengal Health is our number one concern and we stand behind every Bengal kitten we place. How They Describe Themselves: We are offering healthy well socialized kittens raised in our home with children and other animals. 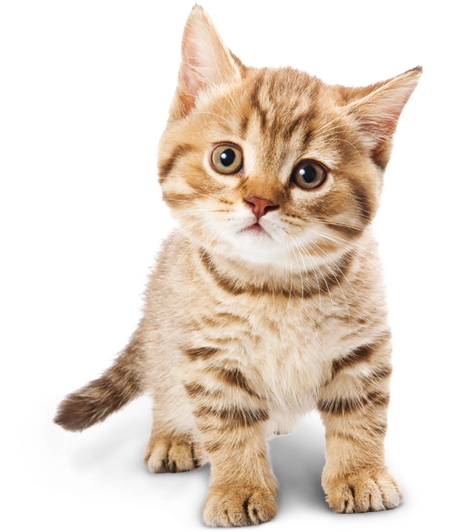 All kittens leave with proper vaccinations, vet health checks and a health guarantee. How They Describe Themselves: All kittens go home in supreme condition, verified by a licensed veterinarian, with a kitten pack, pet contract and superb health guarantee with age appropriate vaccinations. How They Describe Themselves: ​​I am a TICA registered cattery offering beautiful healthy Bengal kittens to loving families. My program is focusing in snow charcoal Bengals. I an a TICA registered cattery offering beautiful heathy bengals to loving families. My program is focusing in snow charcaol Bengals. We are a small Registered TICA cattery in Northeastern WI who is dedicated to the happiness, health, and true traits of what makes this breed a Bengal…..Type, color contrast and those beautiful high glitter eye catching Rosette popping pelts. Not finding what you want with the Bengal cat breeders in Wisconsin? Sometimes this happens as most small catteries only have one or two litters per year. If you’re looking to adopt a Bengal kitten or adopt a Bengal cat, you have two choices.